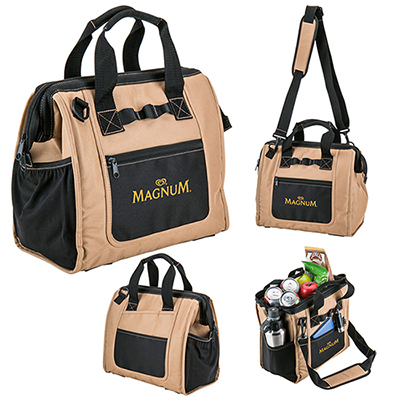 This custom promotional Ice River Lite Rolling Cooler holds up to 48 cans at a time. 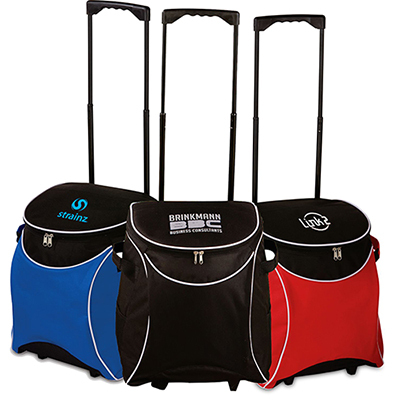 It comes with a steel trolley handle and smooth wheels for easy portability. 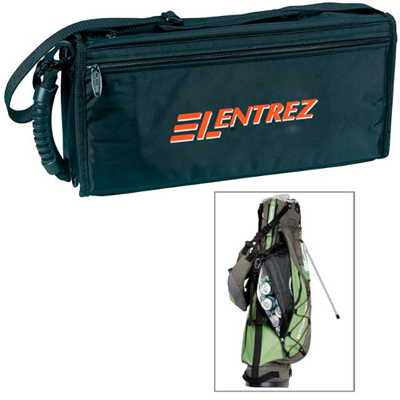 This bag contains dual side mesh pockets and a handy large pocket on the lid. 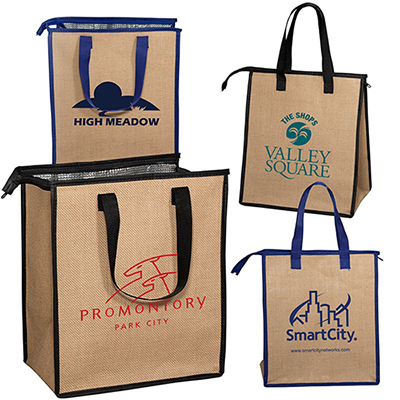 Give us a call to place an order! 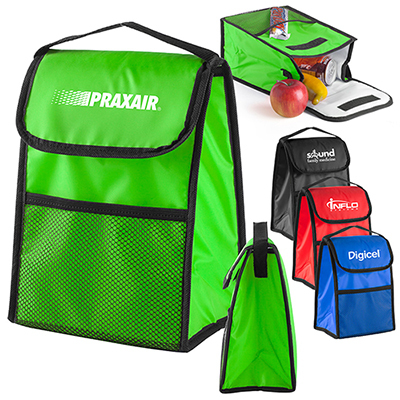 A great way to promote your company at outdoor events!